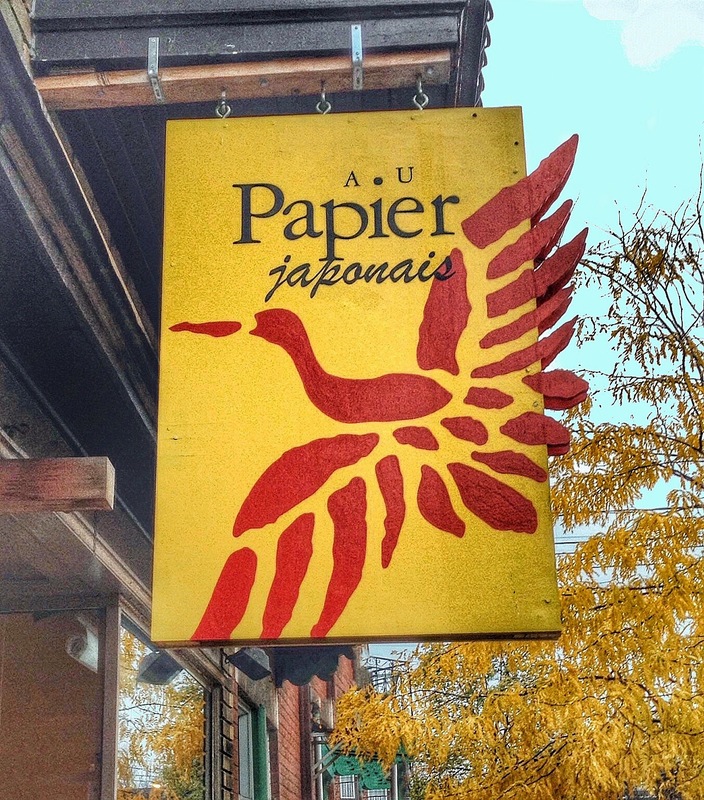 The store's name, Au Papier Japonais, is French for "the Japanese paper place." If you are a lover of paper like me, you are in big trouble from the moment you walk through the door. 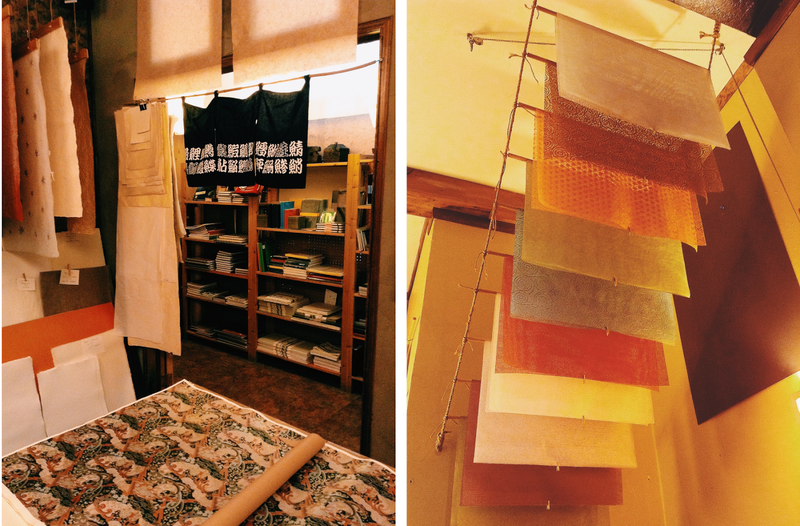 The shop carries different types of washi, an imported Japanese paper that requires painstaking labour to produce. 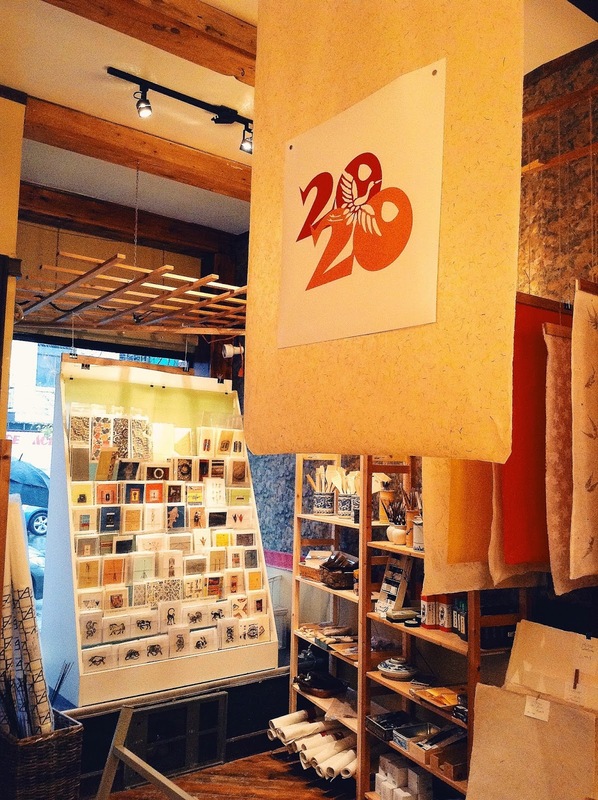 According to the information sheet that the store distributes, washi is made of fibre from three different kinds of plants: kozo, mitsumata, and gampi. These fibres are longer than the tree fibre that is used to make North American paper, so they are incredibly strong. 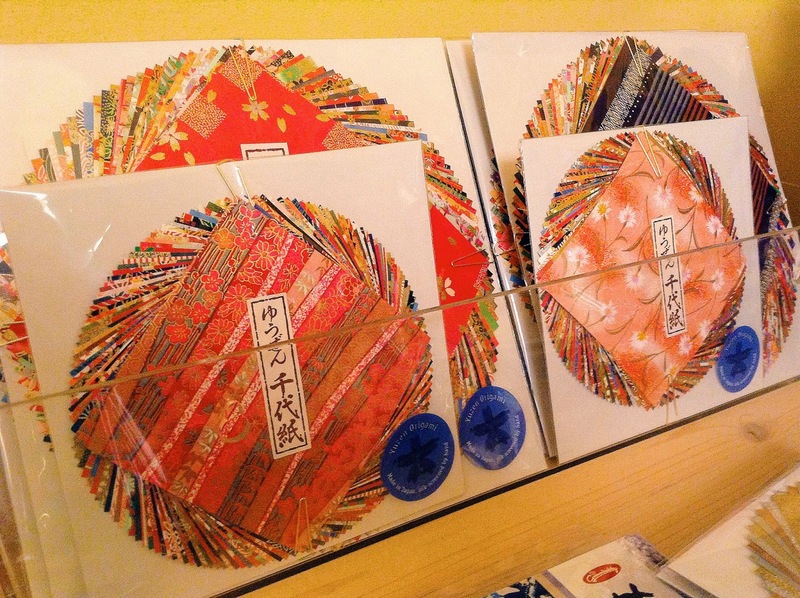 My favourite product in the shop is easily the chiyogami, which is washi paper printed with colourful patterns. 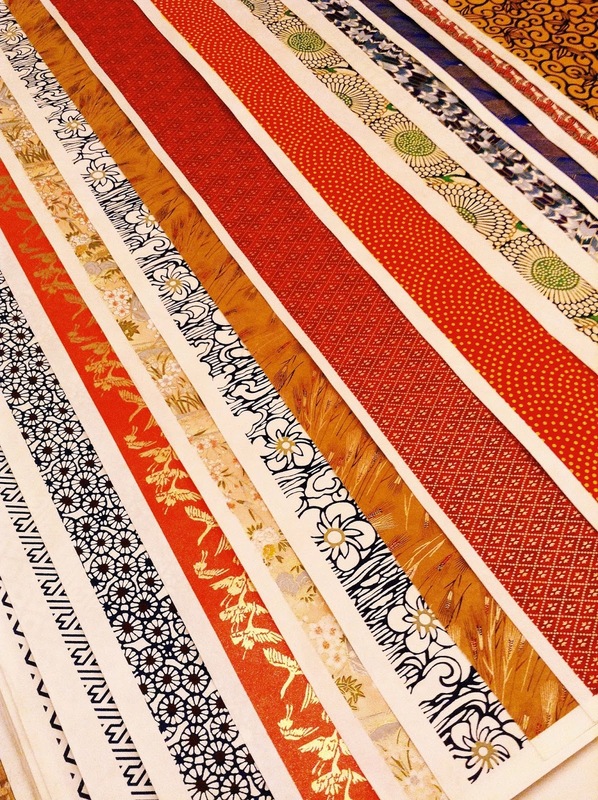 Although the majority of the papers have traditional Japanese designs, every now and then you run across something unexpected, like a Moroccan motif or Western patterns that remind me of William Morris wallpaper. 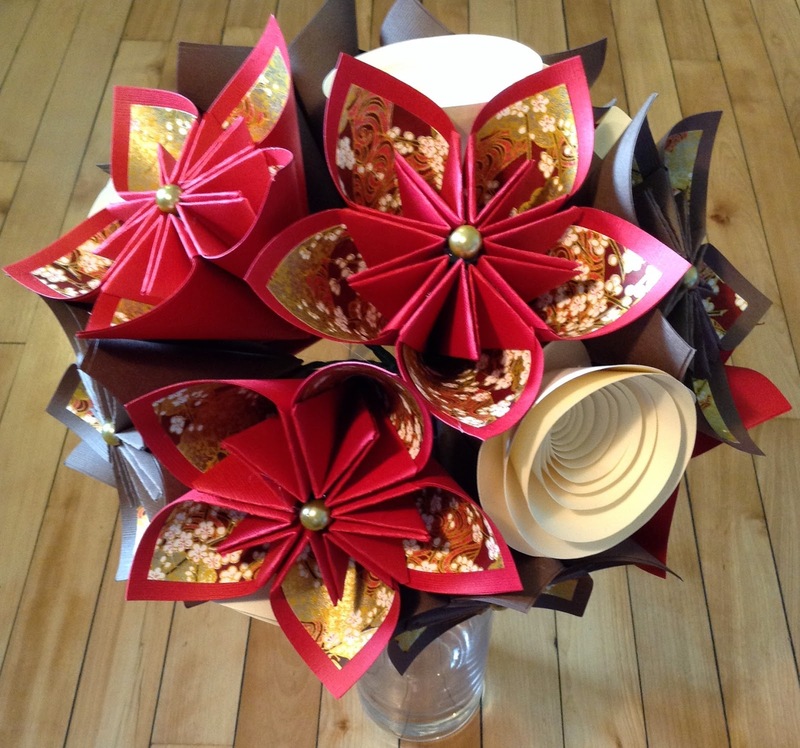 The owners at Au Papier Japonais know how to appeal to the paper lover in everyone. 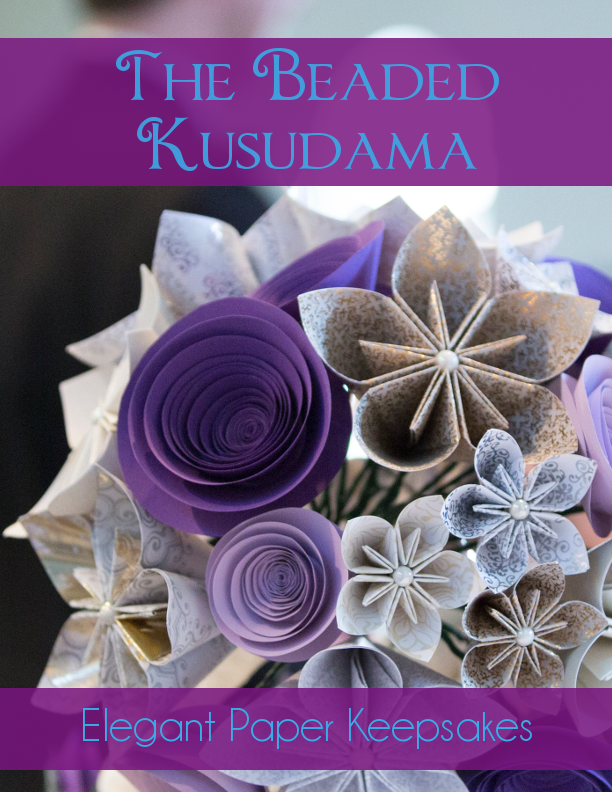 They have a number of books on every aspect of paper craft, whether Eastern or Western, traditional or modern. 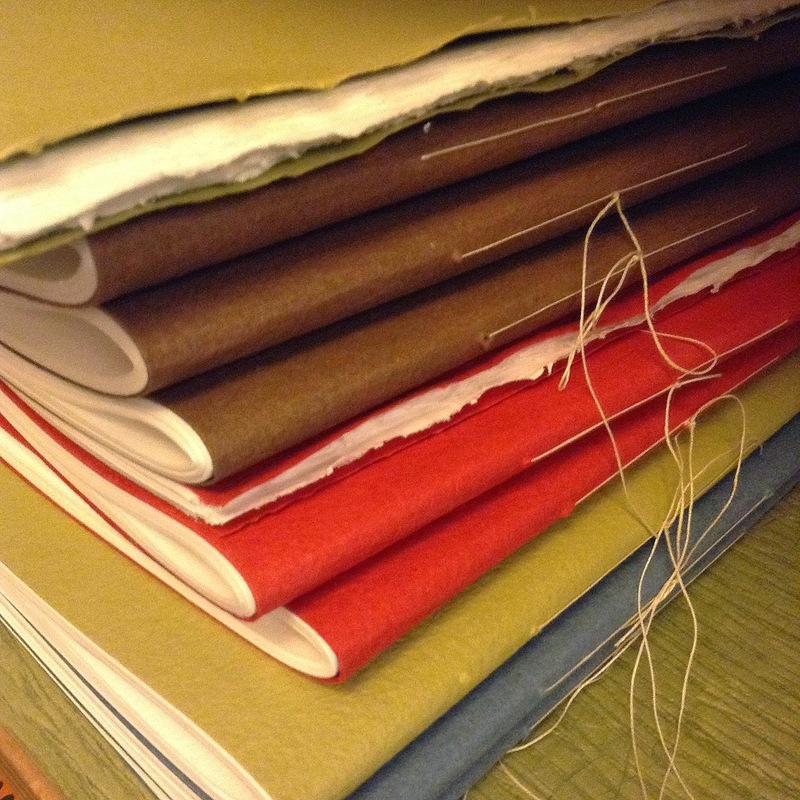 They have calligraphy brushes, washi cards, and hand sewn journals. 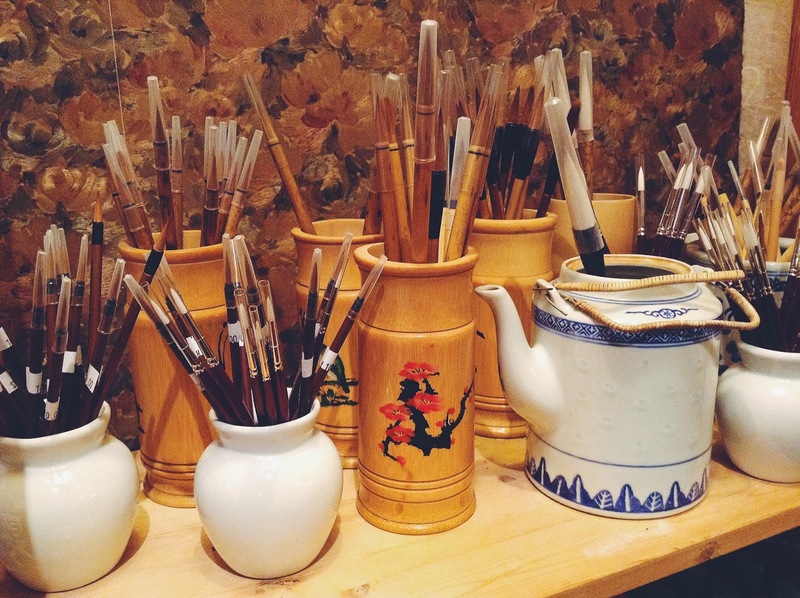 They have origami paper and Polish pottery. 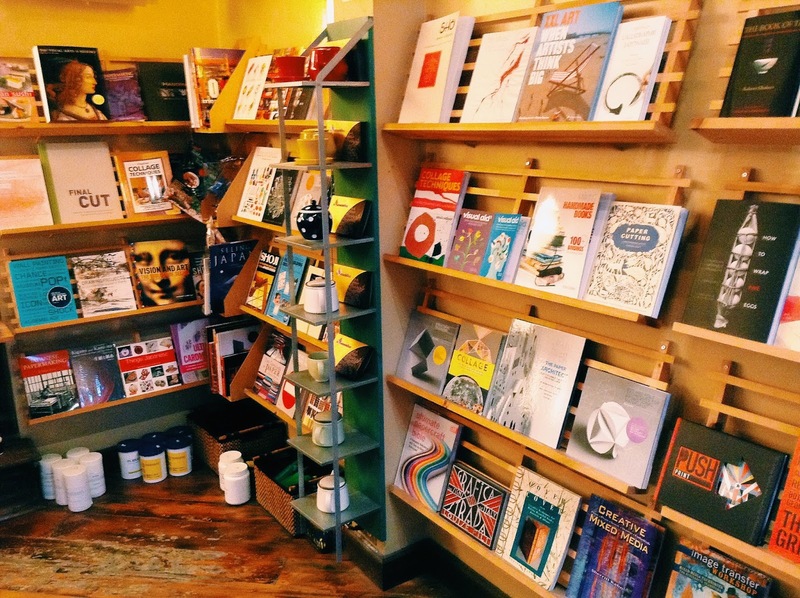 The shop is a delight to the soul and certainly an ideal place to find refuge on a rainy Saturday. 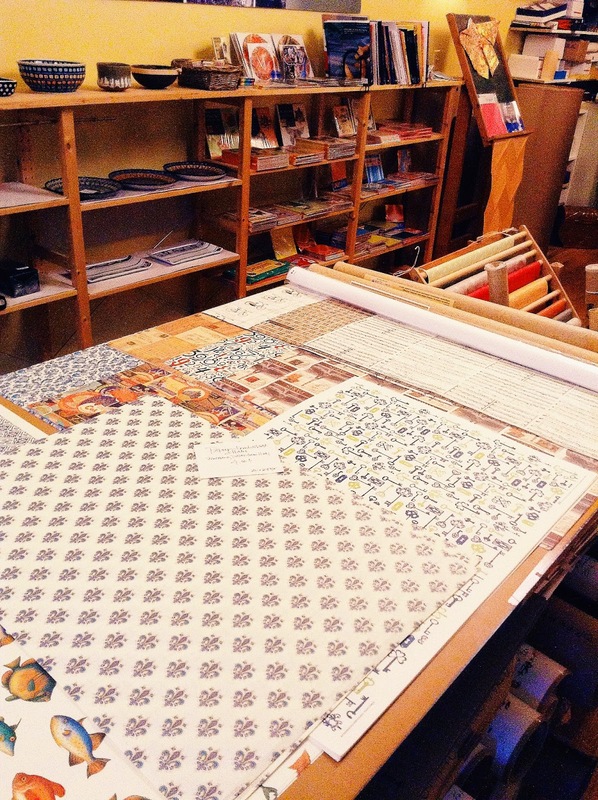 In the side room of the store, there is some marvellous Western paper. 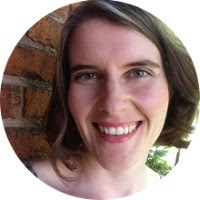 I have not yet been able to figure out a way to work it into my own paper craft, but I am sure I will work something out! 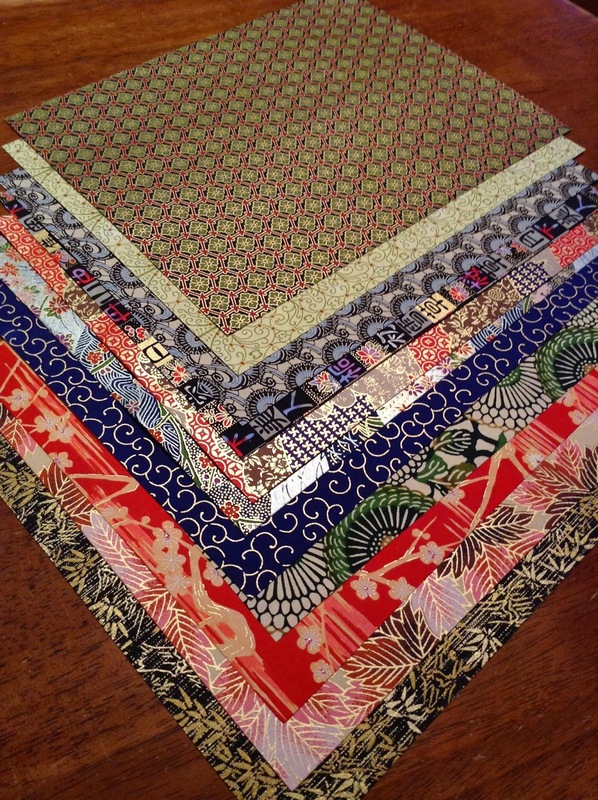 On this Saturday, however, I decided to buy eleven chiyogami sheets. It's definitely going to keep me busy making jewellery over the next few weeks. 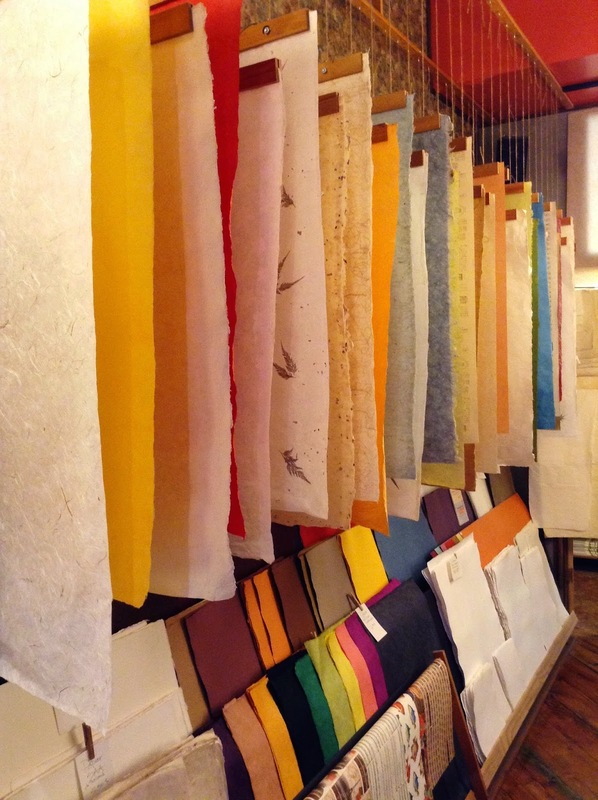 On a visit to Montreal, it is definitely worth stopping by this wonderful shop! That fish paper kills me! I love it. Going there usually results in intense internal debate over what to buy. These debates can last hours.